Lacquistry Amazeballz - You're so extra fine is one shiny and gorgeous polish. 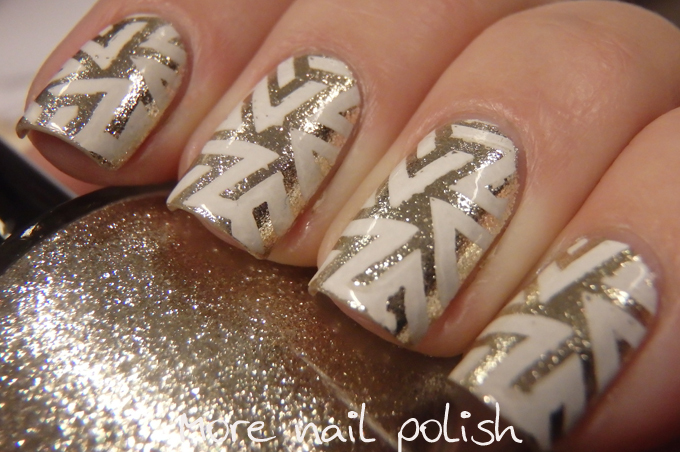 The gold polish lover in me reaches for this incredible polish quite often, and this time I spiced up the look with some white stamping. 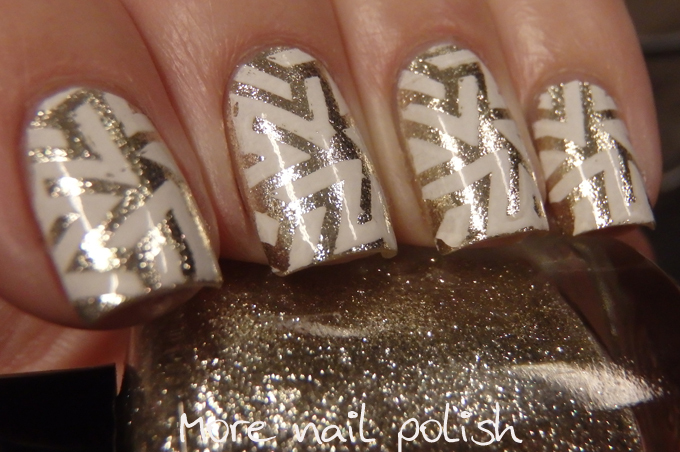 I used my favorite image from the Pueen Buffet set for the stamping and stamped using Mundo de Unas white polish. In other news, I selected the winner of the JORD Wood Watch. The winner is Jennifer O. I've already contacted her and she has responded with much excitement. Congratulations Jennifer.